This morning I am pleased to post the first part of an interview I conducted with Prof. Mark Goodacre in which we explore his views on the Gospel of Thomas. 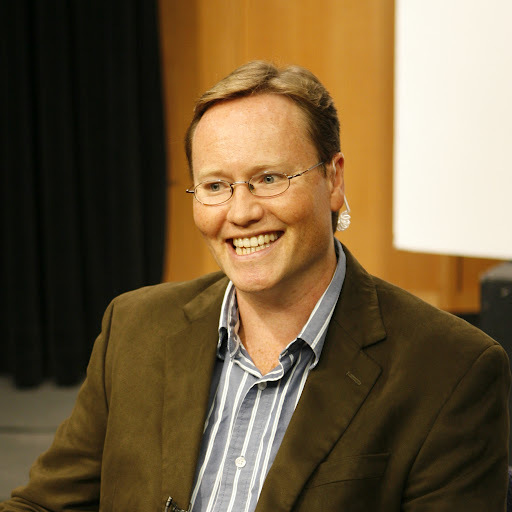 Prof. Goodacre presently serves as Associate Professor in the Department of Religion at Duke University. Anyone paying attention will recognize that Prof. Goodacre is quite well-known around the web, not only for his scholarship, but also for how he makes NT scholarship accessible to so many. Along with the very useful website, NT Gateway, and his blog, Mark provides regular reflections on various subjects through his podcast, the NT Pod. He has recently written a book entitled, Thomas and the Gospels: The Case for Thomas’ Familiarity with the Gospels. I have already given this book my strong endorsement, as have others across the blogosphere (see here, here, here, here). I will say it here again: the book is very good and deserves the attention it is getting. No one interested in the subject matter can afford to ignore this book–even those who disagree. I hope you enjoy this first half of our interview. (CWS) 1. I have asked this question of every scholar I have interviewed on this blog: What initially sparked your interest in studying the Gospel of Thomas? (MG) Well, I have always been really interested in the Synoptic Problem and I have spent a lot of time investigating the double tradition and the hypothetical “Q” source. My skepticism over the existence of Q often led people to ask the question, “But what about the Gospel of Thomas?” After all, scholars have often paired Q and Thomas, making them early witnesses to a trajectory within early Christianity that specially emphasized Jesus’ sayings, and which was not very interested in Jesus’ death. So my interest in Thomas proceeded in part from my interest in Q.
I found also that there are many fascinating Synoptic-type questions to be explored in the study of Thomas. Indeed, quite often Thomas has been discussed in ignorance of detailed knowledge of the Synopsis and the Synoptic Problem. I suppose that I felt that I could see a few things that others were missing when they were looking at Thomas. Having begun there, I then found that I greatly enjoyed where Thomas was taking me – into the world of second and third century Gospels with which I had been unfamiliar. I used to fall victim to canonical bias in my teaching and focused almost exclusively on the New Testament. Now I find that some of my favourite teaching is in Non-canonical Gospels, including Thomas but also many other works. (CWS) 2. I have had an opportunity to work through your recent book, Thomas and the Gospels. In the book you make a sustained (and quite compelling) case for Thomas’s familiarity with the Synoptic tradition. Can you provide here a sketch of your view(s) on Thomas’s relationship to the Synoptic Gospels? (MG) The case begins by asking a key question that is almost universally missed in studies of Thomas’s relationship to the Synoptics: how similar are they? Is there sufficient verbatim agreement between Thomas and the Synoptics to suggest that there is a direct link? I argue that the verbatim agreement in several parallels between the Synoptics and Thomas is so striking as to make a direct link highly likely. Where one has this kind of agreement, one next needs to ask whether the characteristic features of one work show up in the other. I call these “diagnostic shards”, borrowing a term from archaeology, and I suggest that there are good, strong cases of Matthew’s and Luke’s redaction that show up in Thomas. The Gospel of Thomas, for example, uses Matthew’s favourite term “kingdom of the heavens”. And it has parallels to places where Matthew and Luke are clearly redacting Mark. On one occasion (Thomas 79), Thomas has such clear parallels to Luke’s distinctive setting, language, imagery and theology, that it becomes unlikely that Thomas is not using Luke. (CWS) 3. As you know, some scholars have written at length about the supposed relationship between Thomas and the Gospel of John. (This question is of particular interest to me, since I wrote an entire dissertation on the subject!). To your mind, what, if any, is the connection between John and Thomas? Please explain. (MG) I must admit to feeling a little guilty about writing a book called Thomas and the Gospels and then dealing so little with John! As it happens, I think it’s one of the most fascinating things about Thomas that it has at times a kind of Johannine feel, with Johannine echoes, and yet it does not feature the same kind of verbatim agreement that you see between Thomas and the Synoptics. I think it is possible that Thomas knows John but it is difficult to establish. I wonder whether it is in part a question of timing. If I am right about the date of Thomas (I argue for a date in the 130s, Chapter 9), then John may not yet have the same degree of authority as the Synoptics have, and so its author is less inclined to look to its sayings to lend the account legitimacy. I have very much enjoyed the work of several scholars, including yourself, on the relationship between John and Thomas. I always introduce students to Elaine Pagels’s and Gregory Riley’s work on the relationship, not least because it provides such good intellectual stimulation on these important early Christian texts. It’s an issue I want to think about some more in due course. the 114 questions as Thomas recorded, are answered number for number and context for context within the 114 surahs of the Quran. The hidden wisdom of this fact is revealed with the new tongue spoken of within the second conical-mark. These wisdoms are of the spirit just as the four conical are of a simplistic origin in their differences telling the story of the inner man or the kingdom within. Why only the slaughter of the innocents in matthew? Why no fish fragments returned to the baskets within as recorded in john? And why didn’t luke record the walking upon the waters? The hidden wisdom paul spoke of, hidden through the ages. James, I am completely at a loss as to what you are trying to say…..but thanks for taking the time to respond.